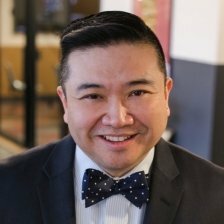 Evan Lee recently left his position as Chief Technology Officer, U.S. Department of Health and Human Services, Office of Inspector General to his new position as VP, IT and Analytics Modernization for ICF International. He was responsible for helping HHS-OIG adopt proven industry IT practices and modern technologies to enhance mission capabilities. Evan’s focus was to establish Digital Service, implement federal mandates for IT Modernization, Data Accountability and Transparency, and Developing a Modern Workforce. In less than two years, Evan’s team rapidly and successfully deployed a secure and compliant multi-cloud hybrid infrastructure, enabling modern descriptive analytics, and high-performance computing, machine learning based predictive analytics. Previously, Evan served as the Chief Architect for the Administrative Offices of the U.S. Courts, where he led efforts in modernizing legacy systems, implementing Agile transformation, and adopting cloud computing. Evan has lead multiple cloud, DevOps, and Digital Services related efforts throughout the Department of Homeland Security. Evan’s team deployed the first fully functional continuous integration, continuous delivery and continuous deployment platform in Amazon Web Services for the award-winning myUSCIS program at the U.S. Citizenship and Immigration Services. The program was featured with President Obama at SXSW 2016, and TED Talks 2016 as the model for delivering modern digital government services. Before joining the government in 2012, Evan was the Vice President of Technology for a successful startup that focused on developing personality, cognitive and attitude assessments for hiring, training, and employee development. Evan is a graduate of George Mason University, with a B.S. in Computer Science.